I remember a time as a child when I asked my mother if I was an “oops baby”. If I had been a surprise. If I was the baby that so fondly found her, instead of her finding me. I was not asking out of concern, as if there was anything wrong with it, but more out of curiosity. More because I am the kind of person that is always curious. Curious about who I am and why I am here. About why you are here, we are here, life is here. Just a natural born curious soul… It’s how I roll – now and always. The way in which she answered me was quite unexpected. My mother is a very kind and loving person. She is the type of woman one would describe as greatly generous while being entirely selfless. She radiates positivity and has a softness is her eyes and in her embrace that sets people at ease. You know that she is someone whom you can be yourself around and that you will not be judged. She is loving in a very natural and accepting way; evident by her actions more than her words or efforts. She speaks softly and with care towards others sensitivities. Her words are rarely abrupt and never harsh; her tone radiating joy and compassion. She is not serious or heavy in her conversation, but rather keeps her words to those which are soft and light, packed with hope and the promise of something greater. Because of this, I was surprised by her response to me. She quickly stopped what she was doing and turned to meet my gaze. Her smile dropped and she gave me a serious look. One I had not seen before. It wasn’t the look of anger or disappointment or regret, but a look that let me know that what she was about to say was something that I needed to hear. All of a sudden, I felt silly for asking and became grounded in the moment. Her voice became soft and stern as she told me that I was planned. That I was wanted. That she and my father knew they wanted another child and had very deliberately tried to have me. As she stood there explaining this to me, I knew how true it was. It was a brief conversation, but a powerful one. She took time and care discussing it with me since she knew it was important that I truly hear what she was saying. And in a way, it was. Babies are blessings however they come. They are. Whether it is recognized at the time of their birth or years later or never – they are. We are all gifts and lucky to be here. Life is a gift, and we are lucky to live it. We all know this. We do. Whether we choose to recognize it now or later or never – it is. The way in which my mother told me that I was wanted and loved and planned helped me realize early on just how lucky I am. How incredibly amazing life is and how beautifully it can be designed. There is beauty in the chaos, but there is a profound beauty in the design. The planner in me loves this. Just this morning, my mother told me that I have always been a “plotter and a planner”. We were discussing my next life move and how she hopes I find a career that allows me to “plot and plan” since I love it so much. How poetic then that I was “plotted and planned” for. Perhaps it is why I am that way, or perhaps it is why I needed to know if I was planned or not. But her response was beautiful. It was exactly what I needed to hear. Exactly what I needed to know. Exactly what I needed to understand. Mothers so often have a way of doing that. 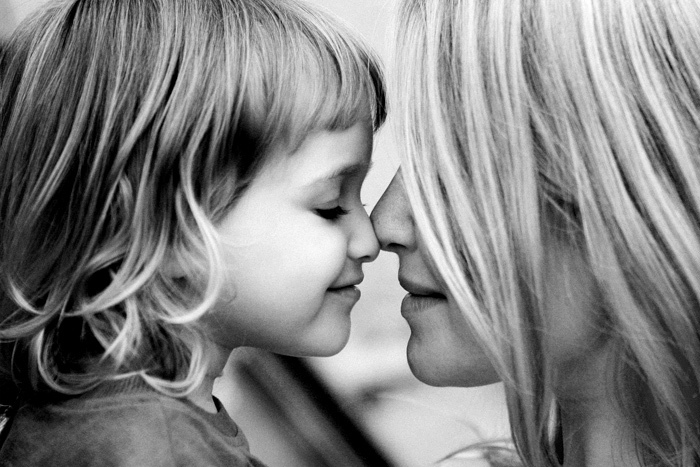 Not all women that bear children are true mothers, but for those of us that are lucky enough to be born unto women that are loving mothers, we know what a gift it is. One that should be honored and cherished and never taken for granted. Ahhh my laptop is wet, so sweet for today! I could absolutely visualize u’r Mom. I’m glad you enjoyed it, Auntie D. Love you!